In today’s society, you can’t walk down the street without seeing at least one person with their head down looking at their phone. And I’m guilty of it, 100 percent. It’s come to the point where you look out of place if you aren’t looking at your phone. Personally, I live in my phone and I’ve come to realize how crazy that is. I’ve noticed that even after I’ve checked all my messages, social media, etc., I am still turning my phone back on to check it all over again a minute later. Recently, after watching this video, I decided I wanted to change my phone habits. What really stuck with me is how much of life I am missing just staring down at my phone. When I took a step back, and started thinking about my phone use. One, I can’t go anywhere without my phone in my hand, so if I ever get uncomfortable, I can just pretend to be on my phone. Two, at home, I am always on my phone. Even when I’m on my computer, looking at all the same stuff, I am picking up my phone. Three, I always pick my phone up at red lights. Four, I can’t watch a movie or TV show without looking at something on my phone. And five, I always keep my phone by my bed so I can check it at any hour of the night. And now as I write these things down, I notice how stupid it all is. I mean, I really can’t watch a TV show without picking up my phone. It’s crazy and kind of disturbing. 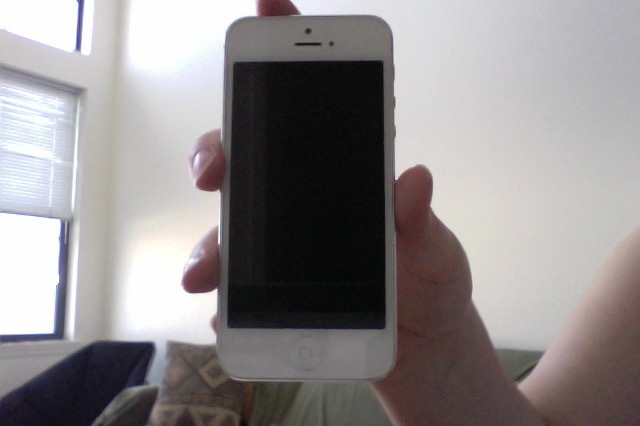 So I decided I did not want to be a slave to my phone anymore. I began to implement some changes into my phone life. First, I took the vibrate option off. Now my phone doesn’t make a noise when I get a text. Second, I leave my phone in my bag when I am walking around or driving someplace, so it’s harder to reach for it. Finally, I started leaving my phone in another room when I am at home, so I can watch TV or do work without constantly looking at it. Since changing my phone habits, I have also been able to observe other people around me. The first thing I noticed, was how when people are sitting down, their phone is right next to them on the table. And if they are sitting by themselves, they are sitting there on their phone. Even if they are sitting at a table with other people, they pick up their phone. Also, walking around the mall or to class, three quarters of the people I pass have their head down looking at their phone. One huge thing I have noticed is with my family. My parents used to be all about not being on our phones when we are together. But now they are the ones sitting on their phones at dinner or in the car. It has now become the time where if you do not answer someone quick enough, you’re automatically mad at him or her or if you don’t have a picture of it that moment didn’t happen. Thanks to smart phones that allow us to connect to everything at anytime, people are no longer living in the moment. They forget what it’s like to just go out and have fun with no distractions. So I am challenging YOU GUYS to all take a big step and kill your bad phone habits. LOOK UP, and chose to live in the moment and not in your phone!